This is the first skin I've ever made. Period. Itried to include all the basic features. I hope you all like it. Any tips or comments are greatly appreciated (just try and be gentle, please...). Many thanks to Quentin and SK for answering my questions and helping me along. 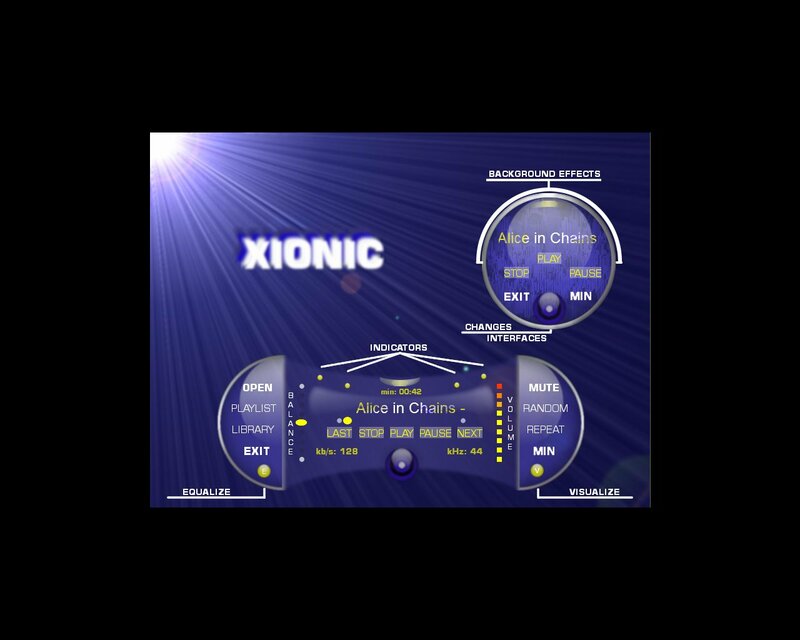 Just download or move the .zip into the Xion interface file. No need to extract it. I can't figure out how to turn it into an actual .xsf (Xion Skin File), so bear with me! noiram, I meant to put on the image that the little silver button with yellow dots was the moveable gripper. my bad! thanks for the comment! Very good start. Welcome to the Xion skinners club. Thanks PixelZ! I'm really enjoying making skins. I'm working on my 3rd one. Got one in moderation, too. It's a shame I can't do anims for Xion with GIMP, cuz I sure can't afford Photoshop!